1- What is university preparatory course (Studienkolleg)? In order to be accepted at a university in Germany, international applicants must possess a secondary school certificate. If they do not have a certificate that is equivalent to a German secondary school certificate, international students need to go to a university preparatory course in Germany. There they will be prepared for the assessment test. If they pass the exam, they get a certificate and can apply at any university in Germany for a Bachelor’s degree. 2- Do I need a university preparatory course (Studienkolleg) ? On the Website of Anabin – anabin.kmk.org you can check if your high-school diploma is accepted in Germany or if you have to take part in a Studienkolleg. 3- Can I enroll in Studienkolleg, when my school certificates are accepted for a direct application at german universities? 4- What are the admission requirements for a Studienkolleg course? An important requirement for the enrollment in Studienkolleg is to pass the entrance exam at a public university. You will only be allowed to do the entrance exam if you have a good knowledge of German language. Most universities require a B1-certificate in German. Here you can find the requirements of different universities. 5- What is the application deadline for studienkolleg? The application deadline depends on the university where you are applying. Please contact the university directly! 6- How does the entrance exam look like? Here you can find examples of the previous entrance exams (Aufnahmeprüfung) by different universities. 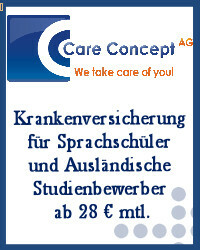 The entrance exam very often consists of two parts – German language and Maths. Some universities require only a test in German language. 7- How many times can I participate in the entrance exam? You can repeat the exam as many times as you want. However, you are allowed to have only 24 months for university preparation before you have to leave Germany. 8- How long does a studienkolleg course take? At most universities studienkolleg lasts for 2 semesters. Sometimes you can get admission to an assessment exam after the first semester of an university preparatory course. This depends on your grades in the first semester. 9- Do I have to pass all exam subjects? Yes. All subjects (for example T-course: German language, Physics, Maths and Chemistry) have to be passed in order to get a certificate. 10- How many times can I repeat the assessment test (Feststellungsprüfung)? You can take the assessment exam at the same university only two times. 11- Can I decide if I want to go to an assessment test or begin directly with my professional studies? No. You cannot decide by yourself. Whether you need to pass an assessment exam or are able to start directly at the university depends on your high-school diploma. 12- What is the difference between Assessment test and German language exam for University? If you enroll in a studienkolleg course, you will not only learn German language, but also different subjects, taught in German language. The assessment test can only be taken by students who do not have university entrance qualifications. If you fulfill some requirements, you can be exempted from the German language exam at the assessment test. If you pass the assessment test, you will get a university entrance certificate, which you can use for applying for a university in Germany. DSH-Prüfung exam can be only taken by students who have received an university entrance certficate in their country, that is accepted in Germany. 13- Under which circumstances can I be exempted from the German language exam of the assessment test? 14- Do I have to enroll in the same subject at university, that I applied for the Studienkolleg ? Not necessarily. It depends on the focus of studying and the subject that you want to apply for. For example: You are attending a T-course. In the studienkolleg application you mentioned that you want to study mechanical engineering. However, after the passed assessment test, you can renew your university application with a new technical subject. 15- Do I have to study at the same university where I pass the assessment test ? No. After successfully passing the assessment test you can apply at any university (university of applied sciences) with the university entrance certificate. 16- Can I study at a university if I pass the assessment test at a University of applied sciences (Fachhochschule)? No. The type of the studienkolleg course at Fachhochschule is specified for students who want to study at this special kind of university. 17- Can I study at a university of applied sciences if I pass the assessment test at a normal university ? Yes. The passed assessment test of a normal university will be accepted by all types of universities. 18- Is studienkolleg from a private institute accepted by the university? The private Studienkolleg courses prepare students for passing the assessment test at a public university. After you complete your studienkolleg courses, you will take the assessment test as an external participant at a public university.